It’s time again for another awesome VeggieTales creation. I was sent the video to watch with my family and all opinions are ours. You can always count on Veggie Tales to come out with an awesome movie and this is no exception. Merry Larry and the True Light of Christmas is a heartwarming tale of learning to help others at Christmas. Larry The Cucumber is a Christmas elf at the Spring Valley Mall who just wants to spread joy at the holidays. When he meets a little girl with a big heart whose only Christmas wish is to help a friend in need, “Merry Larry” sets off on adventure that will light up the holidays like never before and show the town of Spring Valley what Christmas is all about – “Christmas shines most bright and true when you give the love God gave to you!” Featuring Si Robertson as Silas the Okra! I was very surprised when I pulled this video out last week and ALL three kids wanted to watch it. Buddy is 8 and hasn’t been into Veggie Tales for a while, but he was really excited to sit down and watch the movie. Daddy was out of town and the first thing the kids said to him when he got home was that they wanted him to sit down and watch the new Veggie Tales movie with them. The kids, of course, love all the silly antics that Larry gets into. They also loved the new song by Owl City in the movie and got up and danced along with it. I can’t wait to bring this movie over on Thanksgiving to show to all the cousins; I’m sure they’ll love it as well! You can purchase Merry Larry and the True Light of Christmas on the Veggie Tales site, on Amazon, and wherever Christian videos are sold. You can win a copy here by filling out the Rafflecopter below. Giveaway is open to the continental USA, must be 18 or older to win, and ends on November 20 at 12:00 am EST. 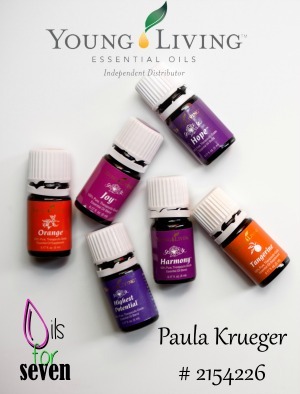 Winner will be selected at random from all eligible entries and will be contacted by email. Winner will have 24 hrs to respond. Winner may only win one prize pack, if you win on another site, a new winner will be drawn. 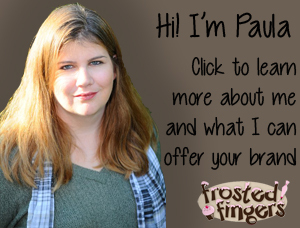 Please add paula@frostedfingers.com to your trusted email filter. If original winner does not claim their prize within 24 hrs, it is forfeit and a new winner will be selected promptly. We watched this last night. It was a really good story. I want more Christmas DVDs in our collection that talk about the true meaning of Christmas–Jesus’s birth–to help hold the balance with the Santa ones. I am so glad to have this one to add to our collection! Strangely enough, it’s the first VeggieTales we actually own, although we’ve seen most of them either at church or on Netflix. The Pirates that don’t do anything. I love the Silly Song compilations! My favorite is Madame Blueberry. I went to a Christian high school and in bible class we would watch certain veggie tales DVDs that our teacher fit into the lesson. So I can attest that even high schoolers can enjoy this series. The veggies are funny…not babyish. I love so many, we watch them over and over, I would probably say Snooderella is my fave. 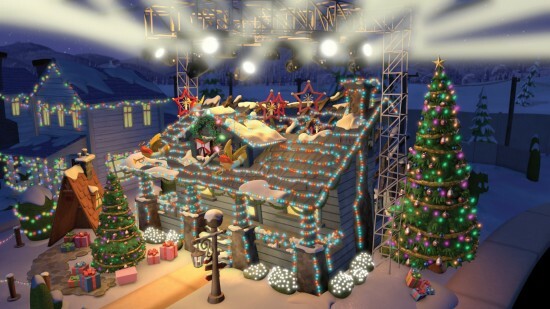 This one looks wonderful! The Little Drummer Boy is by far our favorite! I like Where’s God When I’m S-scared? I love the Larry Boy videos. our favorite DVD is Dave and the Giant Pickle! 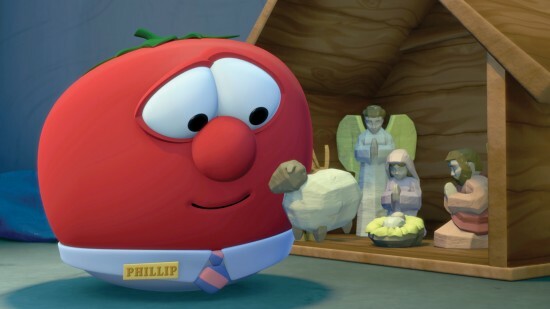 Im new to Veggie tales but Im interested because I want to explain the true meaning of Christmas to my grandkids. Ive heard great things about Veggie Tales. I like Where’s God When I’m S-scared? for my son who says he doesn’t like his room or the dark. I play this at night before he goes to bed sometimes and that seems to help a bit. I like Josh and the Big Wall. We actually haven’t watched any Veggie Tales…we have Veggie books though! My favorite is the Penniless Princess DVD. The Rumor Weed is my very favorite story! We have and love the Silly Songs DVD. We love the song Barbara Manatee! thanks for the opportunity to win!